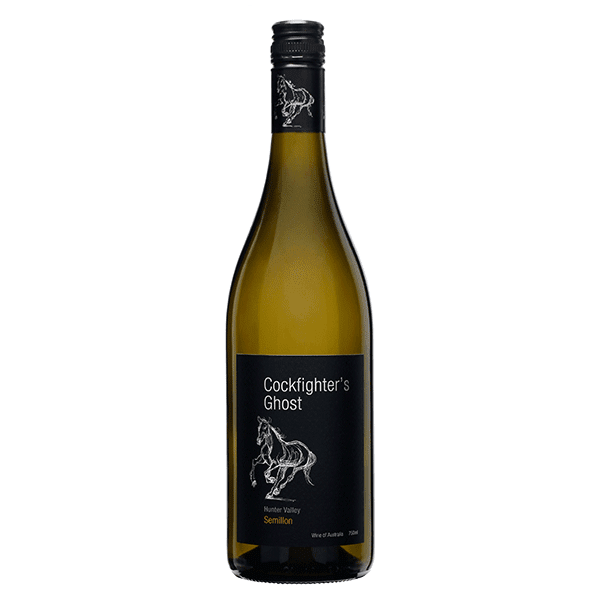 The grapes for this wine were taken from our Cockfighter’s Ghost vineyard in the Broke sub-region of the Hunter Valley. The fruit was hand picked in the early morning and immediately whole bunch pressed and cold settled. The juice was racked clean and then fermented at cool temperatures in a stainless steel to retain freshness. Upon completion of fermentation the wine was gently fined, filtered and bottled early. The 2016 vintage is regarded as a classic Hunter Valley vintage, with ideal warm growing conditions leading up to vintage, the vines were healthy and had plenty of foliage. A series of storms in January delivered a large amount of rainfall but the fruit held up really well. Good vineyard management and winemaking has resulted in some of the best wines we’ve made, with the white wines in particular having great intensity of flavours. Pale yellow with bright green notes. A fresh, crisp style with rich lime, lemon and nectarine fruit flavours, and a mineral acidity.